UK expats should be forced to pay tax in the UK on their worldwide income, no matter where they live, a top executive from the Chartered Institute for Securities & Investment has said. 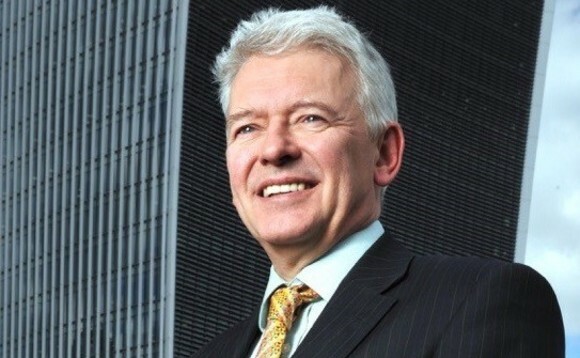 CISI chief executive Simon Culhane (pictured) says that the business of collecting UK taxes could be simplified, and the tax burden spread more fairly, if UK citizenship, in addition to UK residency, was used as the basis by which Britons were obliged to pay their taxes. Culhane’s call for a citizenship-based tax regime comes as many American expatriates are lobbying for the US to change its citizenship-based system to one based on taxing people where they live, known as “residence-based” taxation and the system currently in use in the UK, because, they say, the US system creates enormous hardships for them. The US is said to be one of only two countries in the world that has citizenship-based taxation, the other being the tiny East African country of Eritrea. American expats also claim that citizenship-based taxation can mean that people who have spent almost their entire lives elsewhere, and who as a result have never benefited from any services provided by the country in which they were born, can sometimes find themselves obliged to pay significant amounts of tax. In 2014, responding to such concerns, the Republication National Committee approved a resolution which called for Congress to “align US laws with the laws of other industrialised countries of the world by limiting taxation to residence-based taxation on American citizens living overseas, which will encourage increased employment of Americans and increased export of American goods and services”. However, Culhane argues that the recent leak of papers from the Panamanian law firm of Mossack Fonseca revealed the extent to which the world’s “super-rich” shelter their wealth overseas, and has, he adds, sparked adverse public reaction to the unfairness of the way the tax burden is distributed. “The UK income tax system isn’t fair at the best of times,” he said “The top 1% of taxpayers, roughly those who have an income over £150,000, pay almost 30% of the entire income tax burden of £160bn, while the average person pays less than £5,000 a year. Culhane’s comments were published in the latest edition of The Review, CISI’s magazine for its members. “We believe that this system should be changed, so that anyone who is a UK passport holder is also liable to pay tax on their worldwide income, in exactly the same way as US citizens are taxed on their worldwide income, irrespective of where they live,” Culhane writes. “Of course there are double taxation treatments in most countries, so a citizen who is resident outside the US doesn’t pay twice,” said Culhane. Critics of the US system point to the complicated nature of such an arrangement, with the double tax threat very real for many US citizens that either do not fully understand, or fail to complete the annual US IRS taxation documentation on time often severely penalised financially. Culhane adds that mandating UK citizenship alongside UK residency as the qualifying factors for the payment of UK taxes means it will no longer matter if someone is in the UK for 16 days, for 90 days or 183 days (all key time periods at present in determining residency). Based in London, the CISI is a global organisation with representative offices in such financial centres as Dublin, Singapore, Hong Kong, Manila, Dubai, Mumbai and Colombo. It works with regulators, firms and other professional bodies worldwide, and oversees key qualification-setting examinations around the world.